State lawmakers introduced legislation Wednesday that would end marijuana prohibition in Illinois and establish a system in which marijuana is regulated and taxed for adult use. The Senate bill, SB 316, is sponsored by Senate Appropriations Committee Chairwoman Heather Steans (D-Chicago), while the House version, HB 2353, was presented by Rep. Kelly Cassidy (D-Chicago). Each would make it legal for adults 21 and older to possess, grow, and purchase limited amounts of marijuana. The state would license and regulate businesses to cultivate, process, test, and sell marijuana to adults, and it would create and enforce strict health and safety regulations, such as testing and labeling requirements and restrictions on marketing. 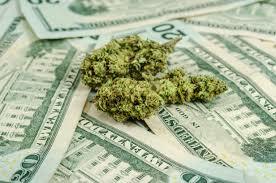 The bills propose taxing marijuana at a rate of $50 per ounce at the wholesale level, and retail sales would be subject to the state’s standard 6.25 percent sales tax. 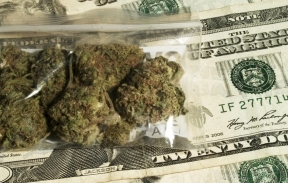 Based on current usage rates and the market price of marijuana being sold for adults’ use in Colorado, the Marijuana Policy Project estimates regulated marijuana sales could generate between $349 million and $699 million per year in new revenue for Illinois. Eight states have enacted laws regulating and taxing marijuana for adult use. A February Quinnipiac University poll found 59 percent of U.S. voters think marijuana should be made legal. Polls conducted by the Pew Research Center and Gallup last October found support at 57 percent and 60 percent, respectively.